When fishing and other activities return, the scenery around Whiskeytown Lake will be much different than it was before the fire. Until you’ve seen it first hand, it’s hard to imagine the devastation caused by the Carr Fire which started near Whiskeytown Reservoir on July 23 and burned in Shasta and Trinity counties. At this writing, more than a thousand homes in west Redding and surrounding communities have been destroyed. With so much structure damage, and more than 200,000 acres charred, the Carr Fire ranks as one of the worst in the state’s history. Recovery, and rebuilding where feasible, will take many years. Prior to this event, I thought of Whiskeytown Reservoir as post card pretty. 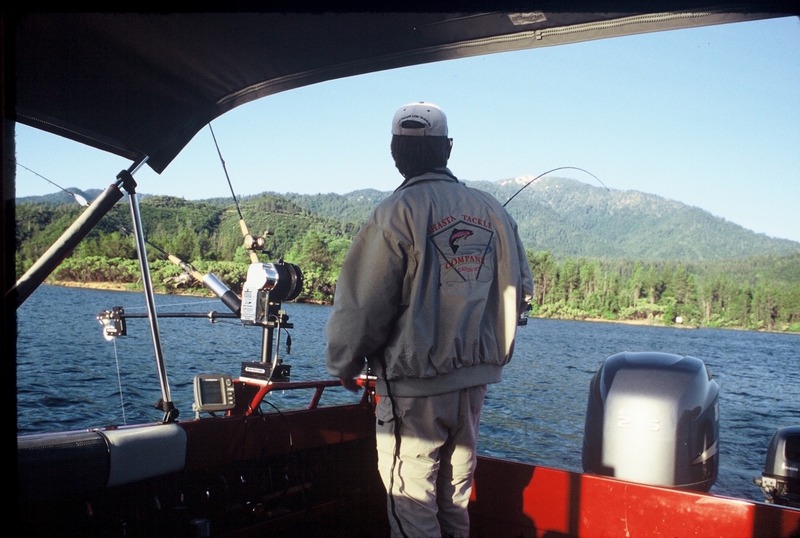 Easy to reach west of Redding via State Route 299, Whiskeytown was, among other things, a great place for sail boat owners, kayak paddlers, family picnics and, most of all, fishing. 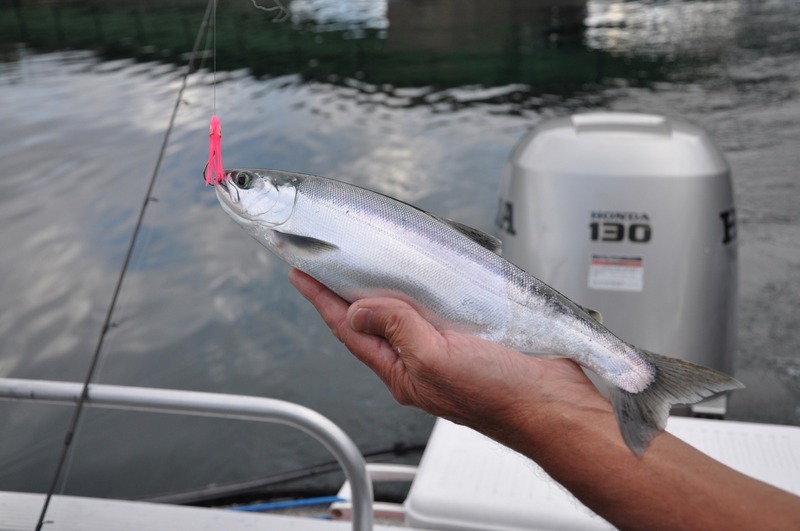 There are lots of trout and bass, but kokanee are most in demand by visiting anglers. Kokanee are a small landlocked version of sockeye salmon. Normally, fishing for them is good all summer but it really turns on before spawning takes place in the fall. Now, thanks to the fire, which caused extensive damage throughout the Whiskeytown National Recreation Area, access to the lake has been halted until further notice by the National Park Service. Until infrastructure problems are resolved, and safety issues addressed, only the Visitor Center will be open to the public. On Monday I went there to see for myself what the area looked like. There was some greenery around the Visitor Center but charred hills were visible through the smoke around the lake. I took a few photos and confirmed what I knew about the effects of the fire. The blaze extensively damaged the Oak Bottom Marina and burned 40 boats moored there. It skipped over some spots, but scorched much of the landscape that framed the impoundment in natural beauty. Even when the lake is reopened the surrounding area will not look the same. As for the fishing, no one really knows how, or if, it will be adversely affected in the aftermath of the fire. Debris and silt in the tributary streams, which are critical for kokanee spawning, will be monitored as will over all water quality. Because it always looked clean, the water at Whiskeytown has been inviting to boaters and swimmers alike. That could change dramatically when the rains come, and the ash and dirt laden runoff begins. 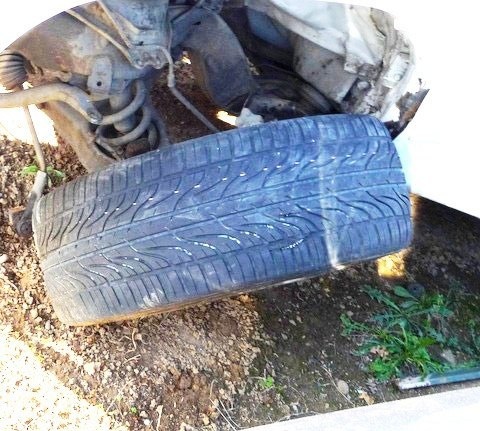 Monty Currier, an environmental scientist and fisheries biologist with the California Department of Fish and Wildlife in Region 1, will be in the field assessing the situation as soon as it’s allowed. “It’s going to take awhile to be sure, but I’m hoping that the quality fishing we have in Whiskeytown will continue without major interruption,” he said. As was said earlier, for now the lake is closed, and when it will reopen is, at this time, anyone’s guess. The landscape around Whiskeytown may be changed for a long time, but the recovery will begin, and, when conditions are right, visitors will be allowed to return. Meanwhile, I believe those of us not directly affected by the Carr Fire must be understanding, patient, and help in the recovery process where we can.